For my second Books & Media Monday, I’d like to highlight a couple of indie books that I’m looking forward to for various reasons. The redhead with the smirk is Joss; the tall, dark, handsome one is Zeke. First up, we have a cover reveal — a first look at Queen’s Man by KD Sarge. KD is one of the authors I work with when I’m wearing my editor’s hat at Turtleduck Press, an indie press running on a co-op model (more about that another day). 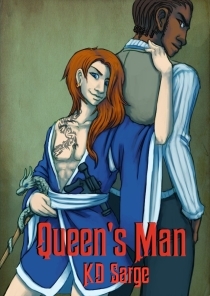 Queen’s Man is a science fiction novel, heavy on the characters and action, and…well, head over to KD’s blog to read more. Queen’s Man is due out on April 1, but if you’re curious, a short story introducing the world and some of the characters will be up on Turtleduck Press on March 1. KD also has two other novels out through Turtleduck Press, as well as a short story in an anthology, Winter’s Night, that also features my writing. Second, some good news from another indie author. 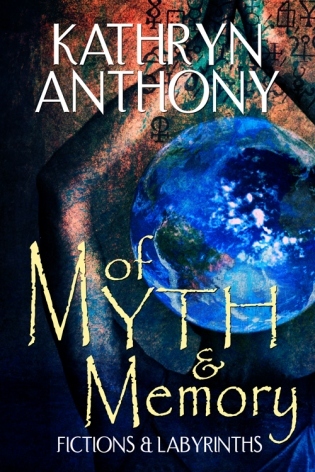 Kathryn Anthony has just released a short story anthology, Of Myth & Memory: Fictions & Labyrinths. While I haven’t read this one yet, I recently finished her first anthology, Persephone’s Library and Other Stories, featuring a variety of post-apocalyptic short stories. They’re beautifully written, bittersweet and thought-provoking. I’m excited to read more of her work. In addition to the two anthologies, she has also released a fantasy novel and two Regency romances. If either of these books sounds like your cup of tea, I hope you’ll consider showing their authors some love. Question for readers: What indie books have you gotten excited about recently?